Guess what, guys? This is the week that Netflix finally decided to put Arrow Season 2 on their lineup. But Season 3 has already started on The CW, so we’re past that at this point. Instead, we’re moving on with a handful of series that take mythology, cults and international travel to the next level. Series hitting their tenth season tend to either be news-related or animated, but The CW’s Supernatural is seemingly as strong as ever with its ginormous fanbase, kicking things off this past week with a premiere that took its characters in a completely different direction from where they were. But in case you aren’t yet caught up on the ghastly adventures of Sam and Dean Winchester, now's you’re chance. Watch watch former angel Castiel live life as a human, while also getting to see Jersey Shore’s Snooki make an appearance. (Okay, so maybe that last part isn’t so much of a draw.) 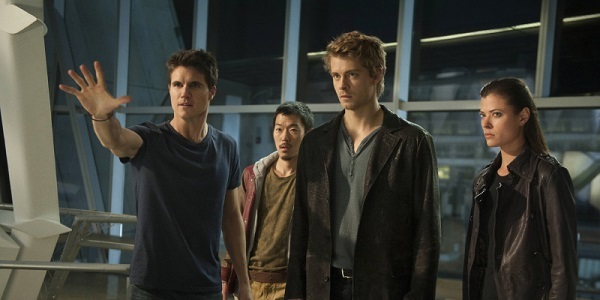 Season 9 features an intriguing plotline involving The Wizard of Oz, some angel terrorism, and one late episode that was to serve as a backdoor pilot for the proposed Supernatural: Bloodlines spinoff, though The CW eventually passed on it. All nine seasons of Supernatural are currently available on Netflix Instant. Though Season 1 of Fox’s cult-centered thriller The Following had definitely, absolutely killed off its central villain Joe Carroll (James Purefoy), it turns out it was all faked. He’s still alive and well and able to wreak a lot more havoc in the lives of Ryan Hardy (Kevin Bacon), his niece Max (Jessica Stoup), the FBI, random people on the street and anyone else that happens to be in the same vicinity as one of Carroll’s flock. Emma (Valorie Curry) and Carroll attempt to build another group, and Connie Nielsen joins the cast as Lily Gray, a woman who befriends Ryan though she’s actually trying to find Carroll. This would all make a lot more sense to me if Carroll were actually an interesting human being. Oh well. I guess that's why I'm not in a cult. Both seasons of The Following are now available on Netflix Instant. The hilariously unique mind of Karl Pilkington was first introduced to the world through Ricky Gervais’ mega-popular podcast The Ricky Gervais Show, which was later adapted and animated for HBO. 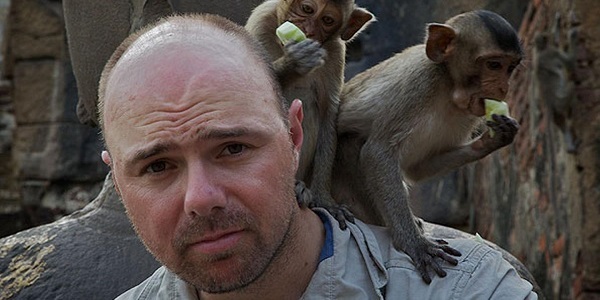 Because Pilkington's specific kind of backwards genius couldn’t be contained, Gervais and creative partner Stephen Merchant put together the travelogue An Idiot Abroad, despite the fact (or perhaps because of the fact) that Pilkington had no interest in travel. With Gervais and Merchant watching his progress from their U.K. offices, Pilkington heads out to the Taj Mahal and Machu Picchu, taking time to whale watch in Alaska and check out Mongolian wrestling in Mongolia. While the actual locations that he visits are of course beautiful and memorable, it’s watching the unpredictable Pilkington taking these sights in that makes this one of the best travel shows imaginable. Keep a notebook, because you'll want to remember some of these quotes. All three seasons of An Idiot Abroad are now available on Hulu Plus. And when you’re done with all of these, hit the next page to find more new-to-streaming shows that might be up your alley.